The ranking elaborated by the prestigious International Accounting Bulleting magazine has placed Antea in all the classifications of associations by volume of turnover and staff during the past year. In Spain, Antea occupies the first place, with almost 63 million euros invoiced and also highlighting its volume of employees, among which the presence of women has increased both at the level of members and employees, and already differs greatly number of other competing associations. 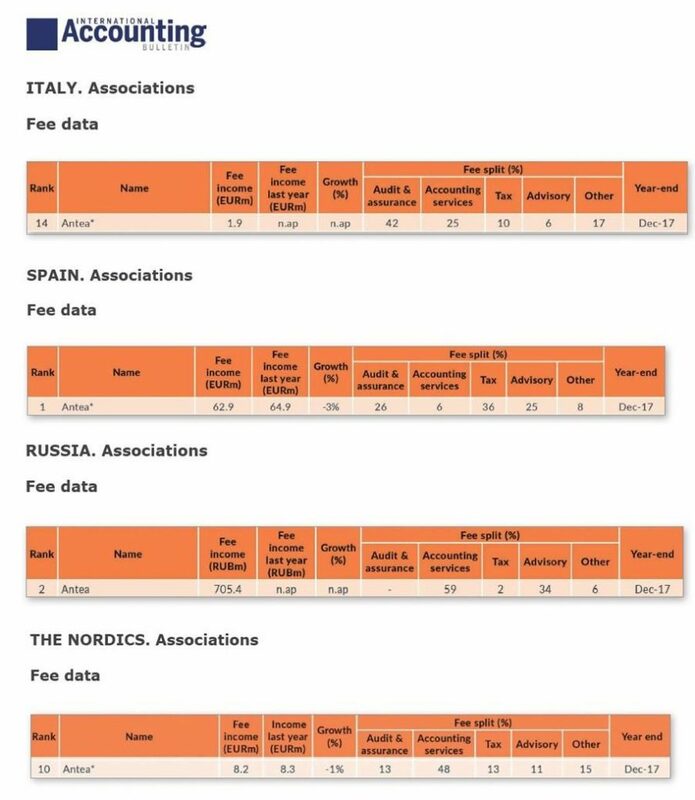 In the data published by the December publication of the IAB, Antea is also at the top of the rankings of other countries where it had not had a presence before: in Italy, where during the past year it has invoiced almost two million euros, positioning itself in the position 14 and between the first 12 in hirings. In Russia, it also starts in the second position in terms of invoicing, and in the third position in staff. Finally, it also enters the list of Nordic countries, getting a very good position between the first 11 in invoicing and 9 in terms of workers.